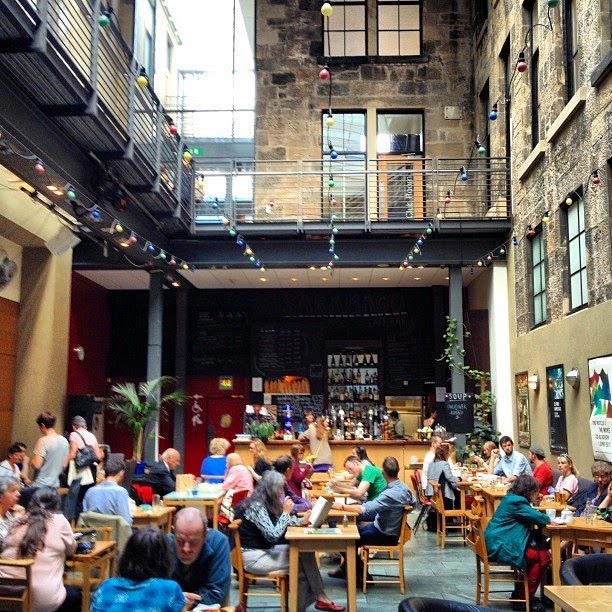 Saramago Café Bar, Glasgow is hidden inside the Contemporary Centre of Arts, along a pedestrian street filled with shops and restaurants.You would not know by looking at it that this is an entirely vegan restaurant. It doesn't say Vegetarian / Vegan in the name and my husband actually double-checked with the staff to make sure they had vegan options because he was worried that we were at the wrong restaurant. They assured him that everything was, in fact, vegan. Saramago has a bright, clean atmosphere and is popular with the locals - especially when the bar opens in the evenings. 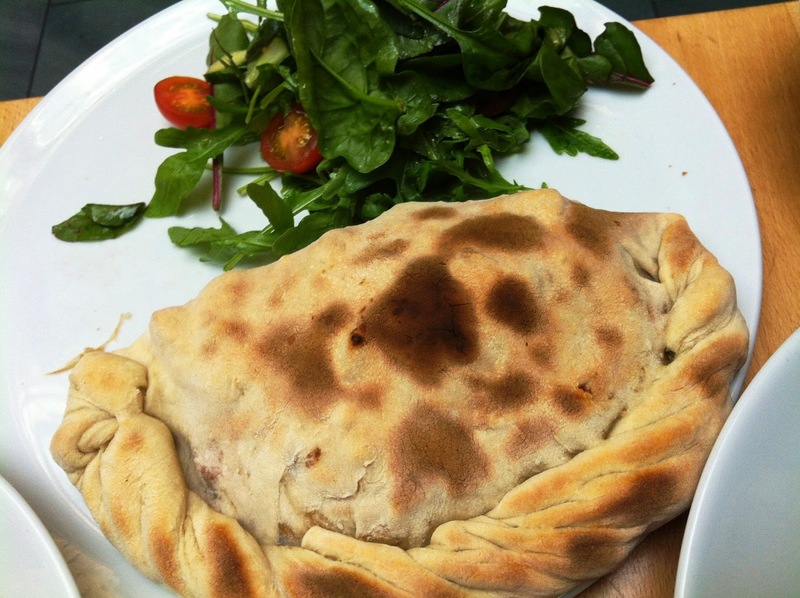 I was not expecting much from this calzone, but it really surprised me. It had a lot of flavor and was quite delicious. 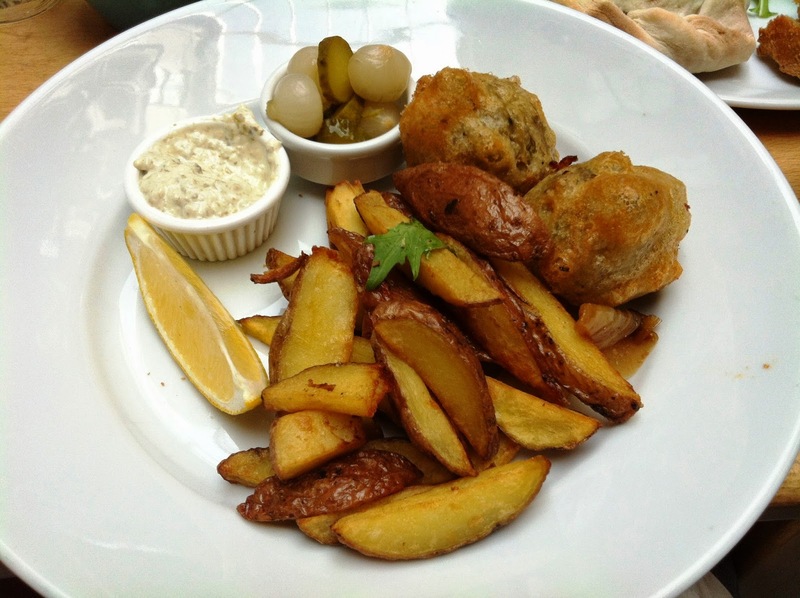 Before we even arrived in Scotland, I was looking forward to the vegan Haggis. Considered to be the national dish of Scotland, Haggis is normally made from some of the less desirable parts of the animal. Our tour guide told us that Haggis is the result of Scotland's history as a poor country, and that it is a comfort food still eaten by many Scottish people weekly. I found a ready made vegetarian Haggis in a nearby grocery store so apparently I am not the only one who is disgusted by the ingredients in normal Haggis. 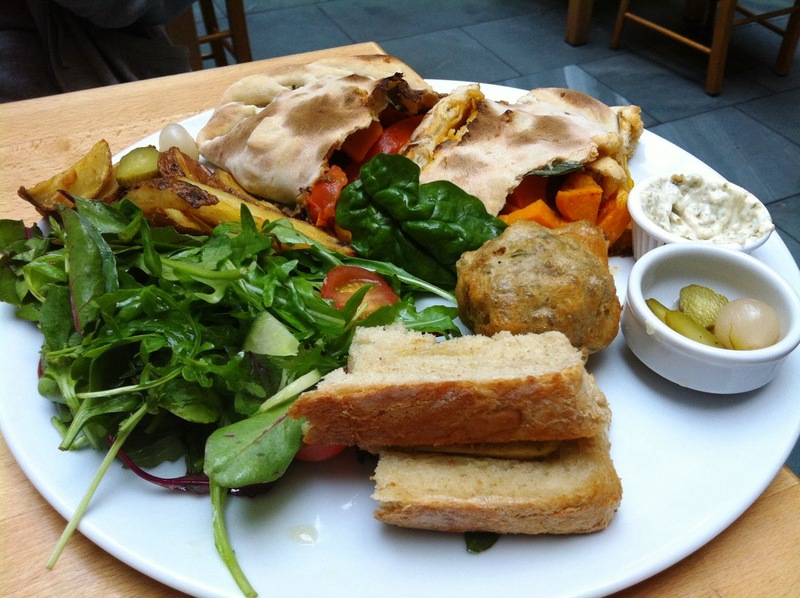 We shared our meals and, although I was really looking forward to the Haggis, I actually liked the Calzone better. I did enjoy the Haggis and I can now say that I've had (vegan, thank God!) Haggis. This restaurant also had excellent homemade bread and delicious, creative soups. I've never tried the veg haggis. A store here sells it but I'm just not sure I need it. I enjoyed it, but it's not something I would need to eat all the time.